It’s Fiction Friday and there’s a lot of 1920s in my life right now. It inspired me to write a longer-form fiction in parts. 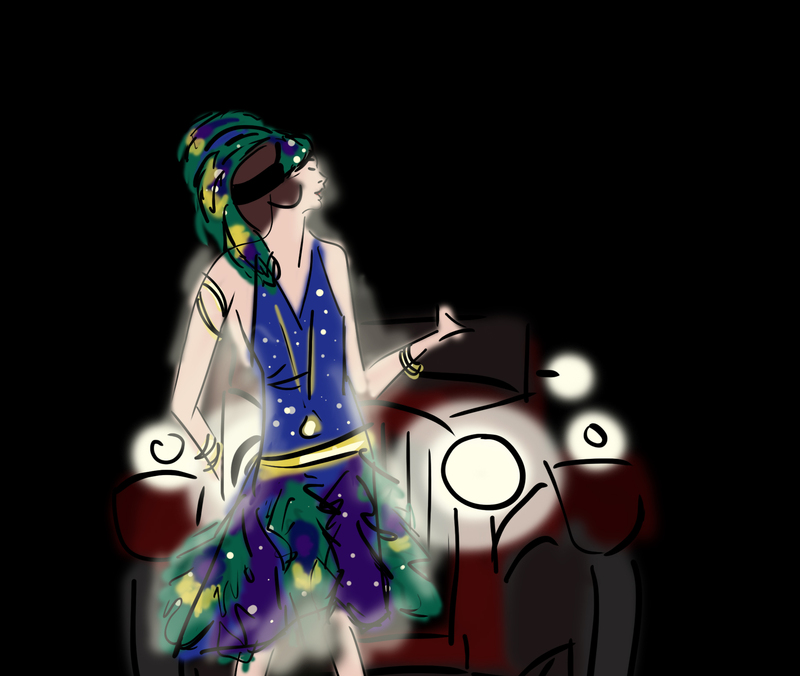 It’s fantastically flapper but there will also probably be a murder and definitely an art heist. Enjoy! By then, the smell of the putrid tube filled with mysterious leaves would usually cause such a headache that Hazel generally put the phone back and turned her attention to one of her father’s leather bound books. Try as she might, she could not fathom why most of these classics had become so classic. Aside, of course, from her father’s secret favorite: Treasure Island. “Technically, Treasure Island is a children’s book, but it’s the best adventure there is…just don’t tell my colleagues” her father had said with a wink. Recently, Hazel liked sneaking into his study to read it when she was stuck at home with her little brothers. Though she was desperate to see the spectacle that was bound to be the Frenchman’s party, she hadn’t pushed her parents that hard to take her. She didn’t mind her little brothers; after-all, they are the best people to play make-believe with. 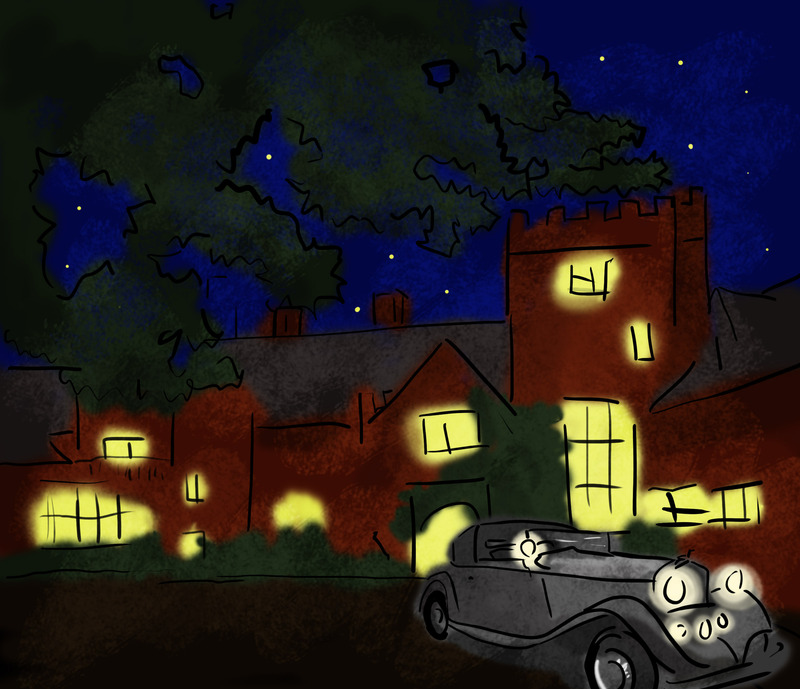 Now that she could see the Frenchman’s mansion glittering at the end of his driveway, however, she was grateful Dot had pushed for her inclusion. Hazel nearly lost her felt hat when she popped her head out the window to see who she was. Dot was leaning toward Hazel, craning her neck to get a better view. Neither of them worried about making a spectacle of themselves and though their mother chastised them lamely, it was obvious she was equally enthralled with the couple at the front of the line. Hazel and her family watched as the most striking woman Hazel had ever seen flung open the driver’s side door to a blood-red convertible. She didn’t know much about cars, but her mother let out a low whistle. As the woman moved toward the house, her dress swayed around her, completely obscuring her figure. Hazel couldn’t tell if it was blue or green or purple; it was as if the dress itself couldn’t make up its mind. Hazel was reminded of a peacock, iridescent feathers glimmering in the lantern-lit night, accented with a smattering of twinkling diamonds. Instead of a hat, the woman’s dark hair was fashioned with a sort of headpiece: a cap of dancing beads with a sweep of peacock feathers that almost entirely hid the woman’s deep set eyes. Hazel felt Dot shift uncomfortably in her seat and tug at her own, less ostentatious, frock. As they passed through the front doors, thanking the valets who took their stoles, Dot added as an after thought, “I suppose they met sometime previously when Greta was in England on business. Rumor has it she’s trying to widen her paper’s European prospects. I think she’s really quite an astute business woman, no matter whom she keeps company with.” Dot said this with an air of propriety, but Hazel could swear she saw a longing glance toward the grand hall where Greta and Jack were currently making their entrance. To be continued on another Fiction Friday!